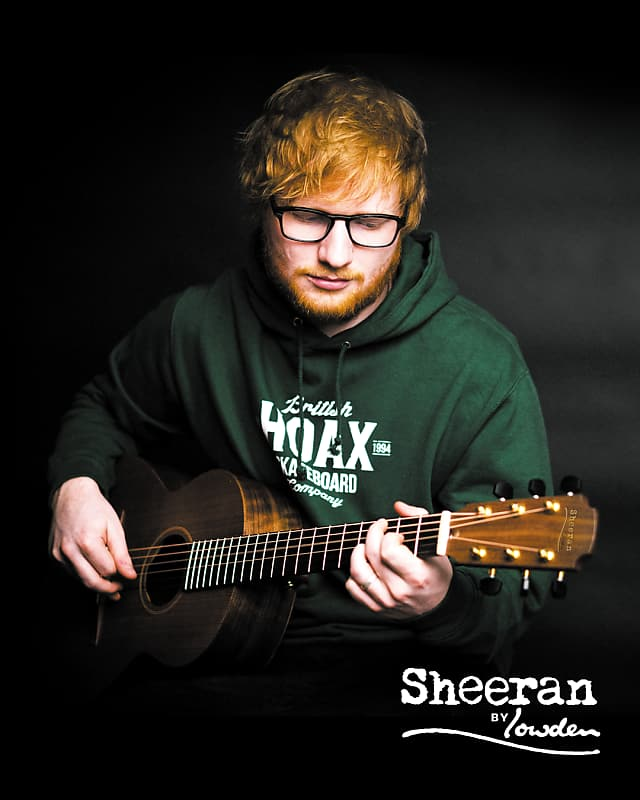 Ed Sheeran recently unveiled a new brand of guitars that he is personally involved in creating with George Lowden of Lowden Guitars - George is recognized as one of the world's finest guitar builders. 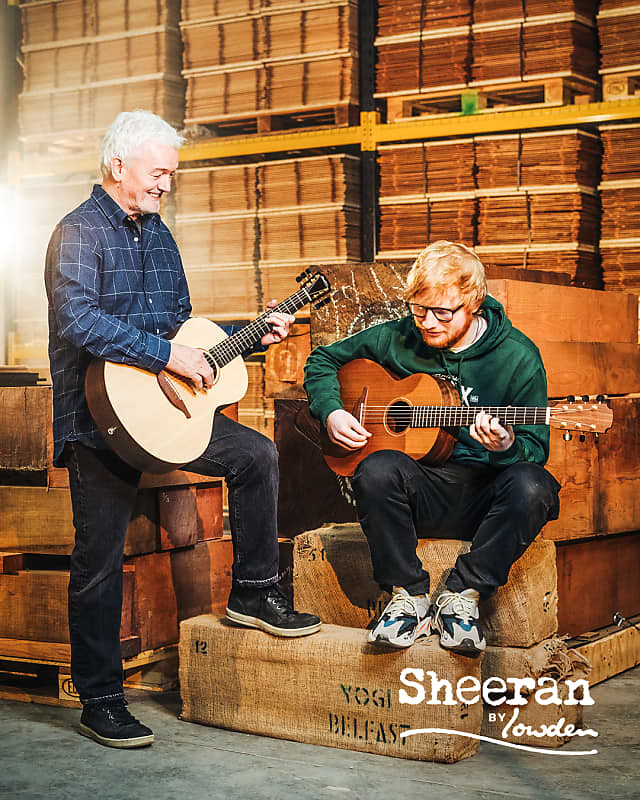 Ed Sheeran's goal was have a guitar he could recommend to encourage people to play music (and that he would play himself - Ed has been a fan of Lowden Guitars since he saw his teenage idol Damien Rice playing a Lowden, and Ed has been playing Lowden Guitars himself since 2013). 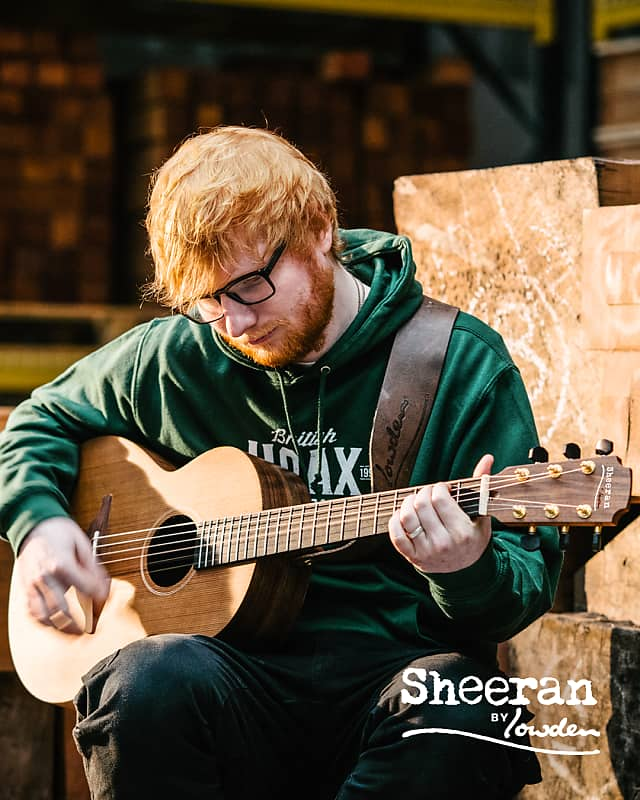 The resulting Sheeran by Lowden Guitar is an exceptional guitar that Bluedog Guitars is proud to recommend: it sounds amazing, is very well built and easy to play - and at a very affordable price. The Sheeran by Lowden Guitars are hand-built in the Lowden Guitars 'family factory' in Northern Ireland and most remarkably, each guitar's top is voiced by hand by a Lowden guitar builder - a remarkable feat at this price! These guitars are the perfect starter guitar for kids and adults, or as a travel guitar or gigging guitar for players who won't want to take their high-end guitar on the road - but don't want to sacrifice quality or tone, either. There are 8 guitars in the range, in two sizes: the 00 parlor size S, and the smaller 0 size Wee. Players have their choice of laminated Rosewood or Walnut backs, with either a solid reclaimed Sitka Spruce or solid naturally fallen Cedar top. 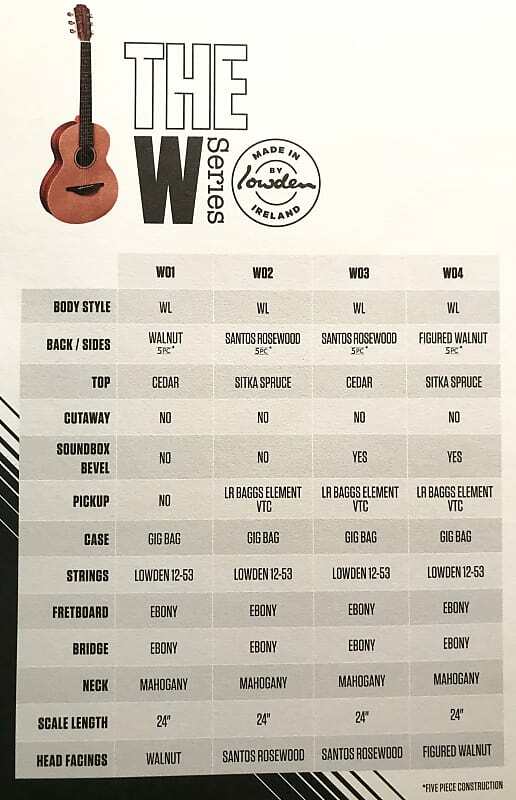 There are 4 styles for each size of guitar, from the base level 01 to the top of the range 04, with the 02, 03 and 04 models having an LR Baggs Element pick-up, and the 03 and 04 models having a soundbox bevel for comfort, as well as a cutaway on the S size. 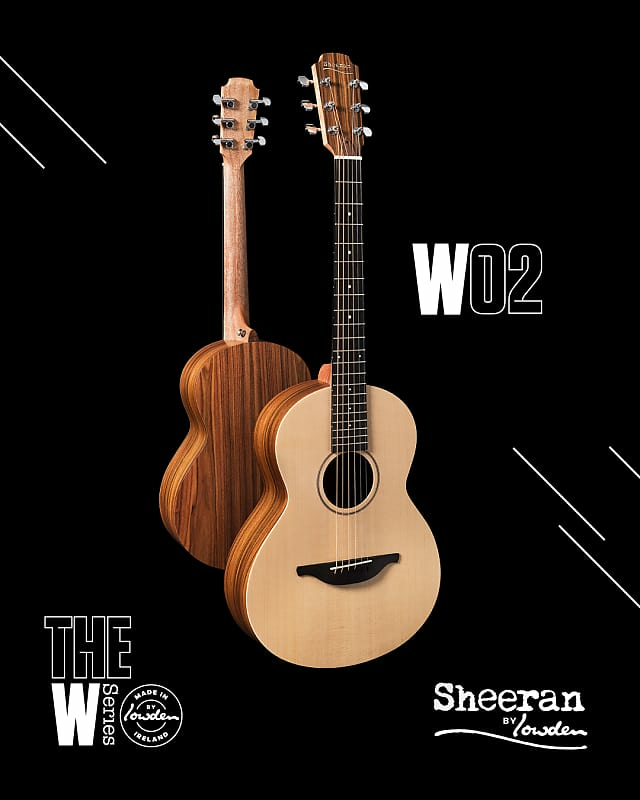 Bluedog Guitars expects to receive our first order of Sheeran by Lowden Guitars in April onwards - we strongly recommend pre-purchasing your Sheeran by Lowden guitar now for priority delivery.